The transport ministers also appeared to have accepted the EC’s move to assume direct program management responsibility through the Directorate General for Energy and Transport, effectively placing the European GNSS Supervisory Authority (GSA) under its direction. The European Parliament and the Council of Economic and Finance Ministers had approved the public procurement approach earlier. In taking the action, the ministers kept Europe’s largest joint infrastructure project on track, although five years behind schedule after attempting to create a public-private partnership (PPP) that would have built the system in return for revenues from a 20-year concession. Prolonged negotiations with a consortium of private companies ended early this year when the two sides failed to reach an agreement for allocating risks in the face of an uncertain revenue stream from operations of the Galileo infrastructure itself. The final sticking point at the transport council meeting arose in Spain’s insistence on having a Galileo ground control station built there. But the 26 other European Union (EU) transport ministers voted in favor of the plan and Spain eventually came around after being assured that Spain could eventually upgrade a planned “safety of life” ground center to a full-fledged status. Earlier, Germany’s resistance had been overcome by a six-part procurement plan for the Galileo system infrastructure that would ensure the ability of that nation’s companies to gain a share of the work. The six main “work packages” are system engineering support, ground mission infrastructure completion, ground control infrastructure completion, satellites, launchers, and operations. EU member states would be associated with the essential elements of program management of Galileo and related GNSS projects through participation in a yet-to-be-established European GNSS Programs Committee. In a statement of conclusions released December 3, the transport council said that the GSA will retain responsibility for technical certification, security accreditation, market preparation and commercialization of the system, and assist the EC for all matters related to the execution of the programs. The European Space Agency (ESA) would act as procurement agent for Galileo, subject to a future agreement between the European Community, represented by the Commission, and ESA. 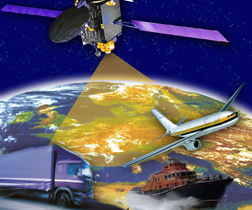 This agreement, to be submitted to the European GNSS Programs Committee, would define the requirements and control measures to be put in place as well as tendering procedures, including appeal and dispute settlement procedures. If the EU stays on the schedule proposed in the EC plan, final adoption of a formal regulation establishing Galileo will take place in March. ESA could then open contracts for bids by the end of 2008.